We all possess a hidden talent inside ourselves. It's the ability to tap into the power of the universe through the control of our mind. And just like any skill, this ability is something you can LEARN. Developing your psychic skills is one of the best things you can do to improve your life. But how do you go about doing it ? The 'Psychic Journey' is a 12 week course that will provide you with everything you need to develop your own natural, psychic powers quickly, easily and safely. The power of your mind is unlimited, waiting only to be realised by you. It's true that some people are born with "psychic gifts", but the fact is that absolutely anyone can develop psychic powers with the right information and training. We are delighted to bring you this powerful course that will change your life for the better forever. This course is a new approach for developing your natural, psychic powers. Each part of the course takes you through a structured plan to help you ‘tune in’ to your psychic awareness and stimulate your inner powers. The course is particularly suitable for those of us with busy lives who want to cultivate our psychic potential without having to re-arrange our regular routines. The step-by-step method allows you to build your psychic development into your existing lifestyle – all you have to do is follow the 12-week plan. "I started this course as a skeptic. I never thought it would work. But now I've completed the course, I can see how easy and natural it is. The exercises are well explained and really work. I would recommend this course to anyone who has ever thought about developing psychic awareness"
This course will guide you from the start and helps you to build your psychic skills in a straight-forward, no–nonsense style. It will first prepare you for the practice of psychic techniques and then take you to a basic level of psychic competence. Having laid the foundation, the course will then encourage you to move into higher, more advanced levels of psychic awareness. And you can start straight away. At the end of the first chapter of the course, you’ll find exercises designed to help open your mind and begin the unfolding of your psychic abilities. Why meditation is key to psychic development. And techniques that will enable you to meditate easily and quickly. Why 'grounding' is important and the best methods to use. The seven major energy chakras and how to awaken them. How to identify and use Cosmic and Earth energy. How to protect yourself with a psychic shield. Seeing the human aura and interpreting its colours. Developing the power of clairvoyance to see things that aren't available to you through your normal senses. Understanding clairaudience and clairsentience and using them to enhance your psychic abilities. How to use psychometry, or "seeing with the fingers", to pick up information about an object's history by touching and holding it. Learn the secrets of telepathy to read minds and communicate with the power of your thoughts. How to practice astral projection and other forms of out-of-body experiences. How to ask for and receive psychic guidance to solve any problem. Meeting your spiritual guides and helpers. How to use spiritual energy to heal yourself and others. "My whole life has changed since I started 'The Psychic Journey'. Anyone who follows the steps of this course will be rewarded with the most amazing personal transformation. It has been a turning point in my life." Meditation is key to the development of your psychic powers. Meditation quietens the mind and allows you to connect to a higher consciousness. Mystics of all types have agreed that it is this connection that will allow you to experience ESP and psychic ability. Open you up to a higher energy source and recharge you. Reduce stress and anxiety. You'll gain a calmer, more peaceful approach to daily life. Improve your health and general well-being. Assist you in finding creative ideas to help decision making. Enhance your ability to concentrate and focus. Give you a better sense of purpose and fulfilment. Improve your confidence and self-esteem. Note : All subscriptions are held in strict confidence. We do not sell or give out this list to anyone. A significant part of psychic development is understanding and working with the natural energy that permeates everything in the universe. This cosmic energy has different names in different cultures. For example, in India, it is called 'prana', and in China it is referred to as 'chi'. This energy flows in us through important centres known as chakras. A large section of the 'Psychic Journey' course discusses the major chakras in detail and there are many exercises for awakening, cleansing and balancing them. When your chakras are functioning properly and efficiently, not only will you experience greater psychic awareness, you will also see notable benefits in your general physical and mental health. The locations of the main chakra centres. How to use colour to visualise and sense your chakras. Why each chakra has a unique sound associated with it and how to use the sounds to accelerate your chakra development. Which chakras are particularly associated with psychic development. How to use breathing techniques to cleanse and energise your chakras. How to use meditation with guided imagery to allow Earth and Cosmic energy to flow through your chakra system. Why an unbalanced chakra system can be dangerous and how to ensure that your chakras are properly opened and balanced. How to integrate your chakras to connect with spirit and unlock your psychic powers. 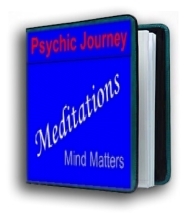 "I've found the Psychic Journey to be incredibly helpful in developing my psychic powers. The section on Chakras has been especially useful. I have meditated for many years but have never worked on my Chakras. The course has helped me to understand their significance and see how important it is to open and balance them. Now I can feel great energy flowing through me and I know this has been instrumental in bringing out my clairvoyant ability. " The topic of Psychic Protection is one of the most important aspects of psychic development and yet it is often neglected in most courses, guides and books. One of the consequences of developing psychic awareness is the accompanying increase in sensitivity to all energies. However, this possibility should not discourage you from developing your psychic abilities and the purpose of psychic protection is to block out intrusive or malicious vibrations that come from other sources. The 'Psychic Journey' course contains exercises that will help you to build a psychic shield around you that will protect you from all negative influences. As you begin to develop your psychic ability, you'll discover that there's far more to the world than you noticed before. One of the first discoveries you'll make is your aura, which is a field of energy and light that flows around your physical body. The 'Psychic Journey' contains many exercises and meditations that will enable you to discern your aura and the auras of other people. You'll discover that animals, trees and flowers have auras too. You'll learn how to interpret the shape, colour and other characteristics of the aura. The course will teach you how to use this information in a constructive way to reveal a person's spiritual, mental, emotional and physical state; their personality. gifts, aptitudes and other personal traits. You'll see how an understanding of our auras can make you a more effective communicator and healer and how it can bring harmony to your everyday life. Often additional guides will come and help us with a specific lesson that we need to learn or a particular project that we want to accomplish. The 'Psychic Journey' course will show you how to contact your spirit guides and build a lasting, loving relationship with them. Guides are your friends. They are there to love, support and encourage you. They are wise teachers who will often give you information through your intuition. At first, intuition from your guides will probably not feel very different from other types of information you receive. The 'Psychic Journey' will teach you how to recognise the wisdom given to you by spirit guides so that you will know when you’re receiving this special insight. When you learn how to connect with your guides, your life will naturally fall into a pattern of ease and flow helping you to fulfil your life's purpose and making your time on Earth endlessly entertaining. Astral projection is an advanced technique, but for many it is the most exciting, interesting and enlightening of all psychic experiences. Astral projection is a process by which your consciousness temporarily leaves your physical body and functions independently, while your physical body remains still and passive throughout. This results in observing the world from a point of view other than that of your physical body and by means other than those of your physical senses. Astral projection is often referred to as an Out-of-Body-Experience (OOBE or OBE) because it is an experience where your consciousness is out of your physical body. 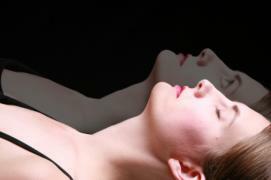 Astral projection is covered in the latter part of the 'Psychic Journey'. By then, the exercises that you will have been practicing will have heightened your psychic awareness and strengthened your psychic abilities, so that you will be be prepared for this more advanced adventure. Having laid the foundation of your psychic ability, the 'Psychic Journey' provides you with a step-by-step practical guide for achieving out-of-body experiences. It addresses the common events that can occur during astral projection, taking away the apprehension that many people have about this aspect of psychic development and allowing you to focus on enjoying the experience. "I've read books on Astral Projection and have found them boring and confusing. I've never had any success in experiencing an OOBE . Looking back, maybe this was because Astral Projection is an advanced ability and I hadn't reached the level where I was ready to experience it. This course gets you ready first. It gets you to the point where your psychic skills are screaming to travel in the astral world and then it gives you the tools you need to do it. I've had many OOBEs now and think that the Psychic Journey gives you the most reliable method for Astral Projection that there is. " The course provides a proven step-by-step approach. 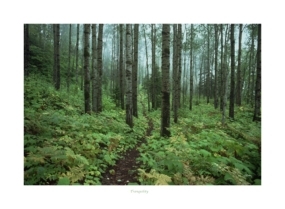 Each step builds upon the previous one – the process itself will carry you forward. Psychic energy needs to be cultivated and there is no point in rushing into psychic work without first laying a firm foundation. Such an approach will actually slow your progress and make you disheartened. We could easily send out the whole course in one go. But by sending it out by email in installments over 12 weeks, it ensures that you work through the course at the correct pace and in the proper order. What bonuses does the 'Psychic Journey' come with ?